We just received some very disappointing news from the Orthopedic Foundation of America this week. 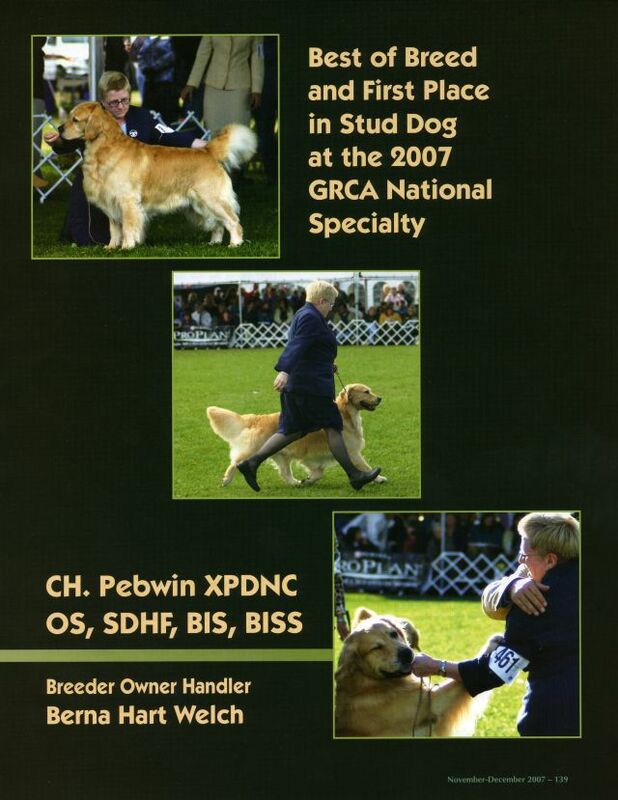 Our Solo has evidence of mild hip dysplasia. This report immediately disqualifies her from being a breeding mom. So we have sheduled her to be spayed in two weeks time. 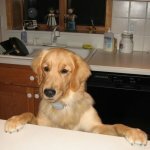 She will now join Lily as a best Aunt in watching our future litters arrive and grow. Despite our best efforts to maintain the genetics of our line using only top of the line breeding material, some characteristics occur due to random events and the polyfactorial nature of things. Solo’s father was “Magic”. Unfortunately he passed away soon after siring Solo, so further information is not available about any of his other offspring. I feel disappointed for all those folks who have recently joined our waiting list. 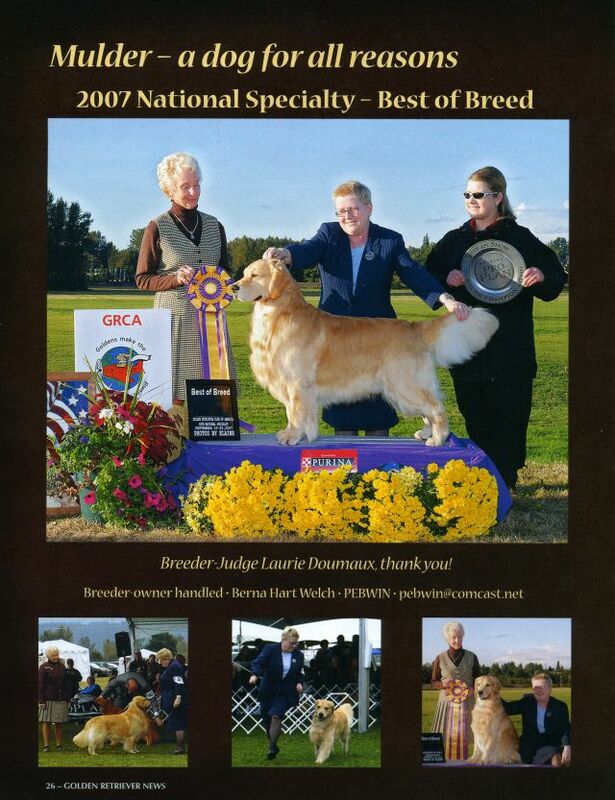 Our well thought out plans and two years of work for Solo to achieve her breeding pedigree have gone astray. And then we have the fact that Riley is overdue for her heat by about four weeks now. So mother nature has not been kind to us of late. We still expect to breed Riley and then Emma with their heats, but I no longer feel as confident in our timetable. Of course if this breeding business was so easy, everyone would be doing it. 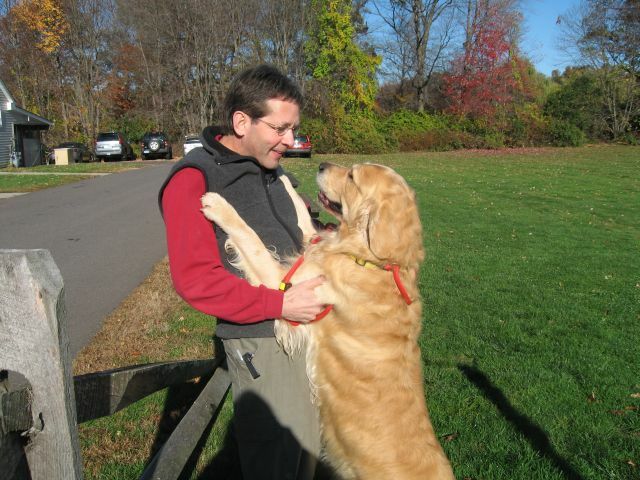 It just makes our mission of getting these wonderful dogs into loving families a bit tougher. 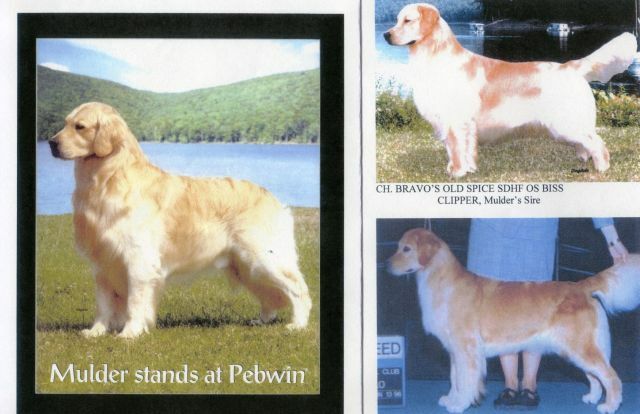 Years ago when Barb and I weren’t as knowledgable about the importance of genetics and family lines, we answered a local newspaper add for AKC golden puppies. We fell in love with a puppy that we named Molly. 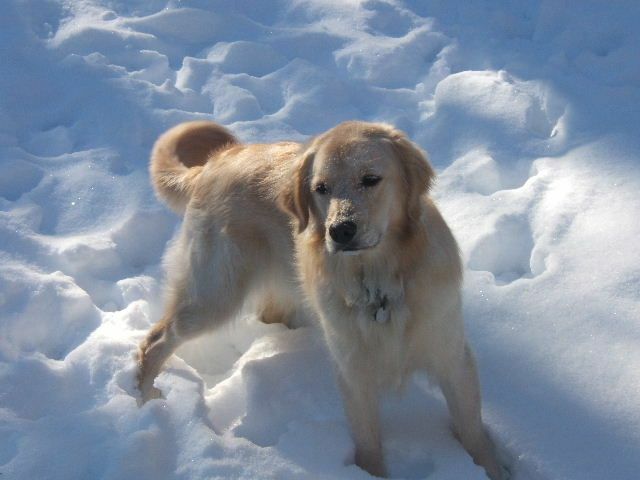 Great personality and looks, we were blessed with eleven years of fun and companionship. The last two or three years were tough on her though because of severe hip dysplasia that had become manifest at about one year of age. Having to help her walk everywhere for the last few years of life reinforces to me the importance from day one of knowing as much as you can about the breeding history of the parents. And not settling for an unknown puppy while hoping that the future will be sun filled and long lasting. It will not be. If there is a silver lining to Solo’s news, it is that her dysplasia is so mild that it will probably not be clinically apparent. 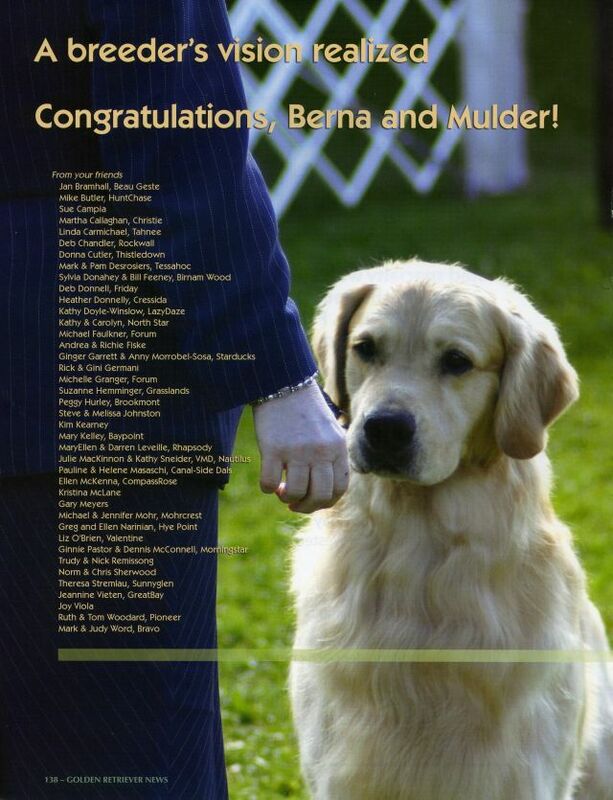 That is the opinion of our vet who reviewed the films again himself and at first was wondering what disqualified her. I wonder also if the digital Xrays she had done are similar to high definition TV. Every blemish there shows due to the amazing resolution of the technology. 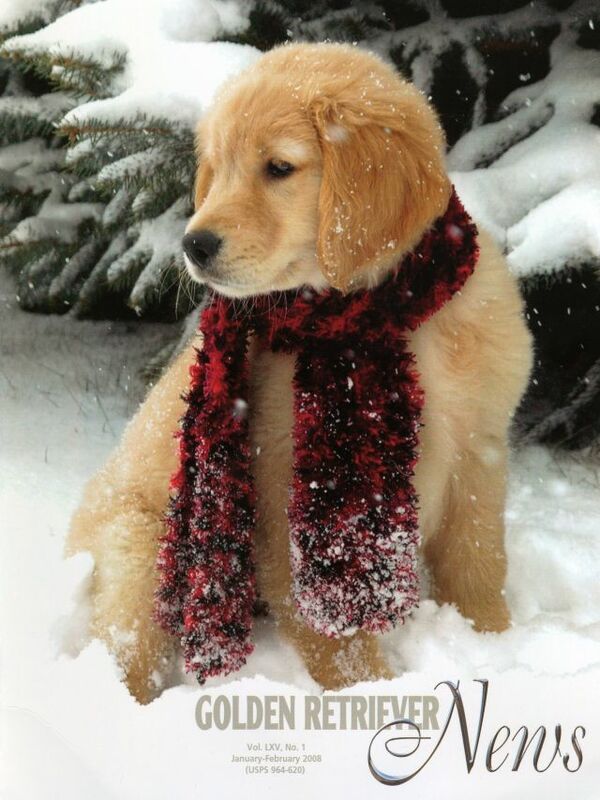 I feel a strong committment for all those people who have been waiting for a puppy. While my timetable may not be accurate, we still plan on having two litters when mother nature starts the heats of Riley and Emma. Both have passed all their clearances. Effective immediately, we have stopped accepting names of people wanting puppies. We have also removed ourselves from the search engines of the internet world. 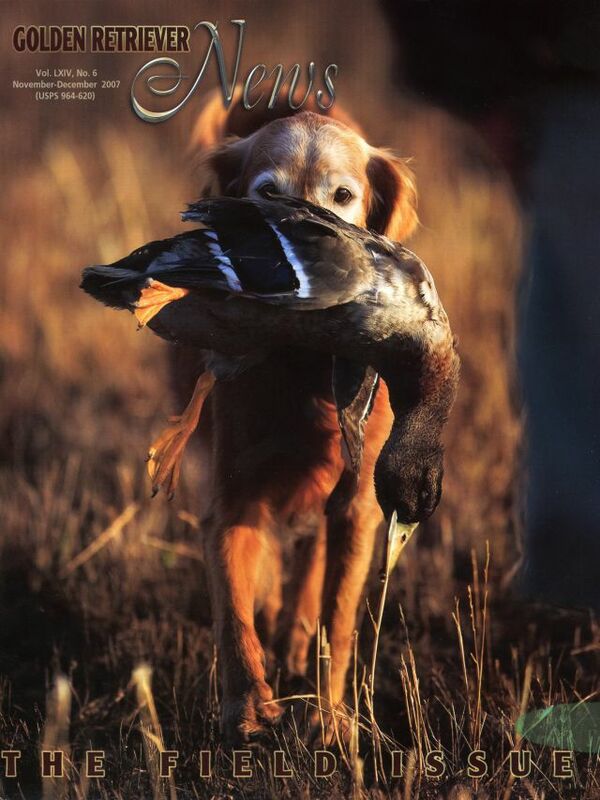 For those folks that recently joined our list, I would encourage you to visit the link on our website to Southern Berkshire Golden Retriever Club. 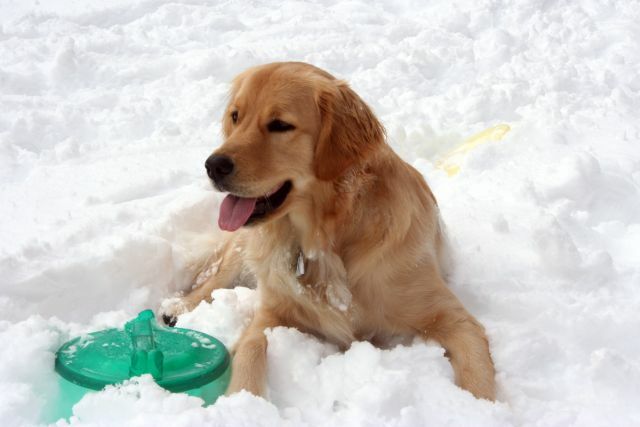 Barbara Biewer, the president, is the person to email about available litters coming due. 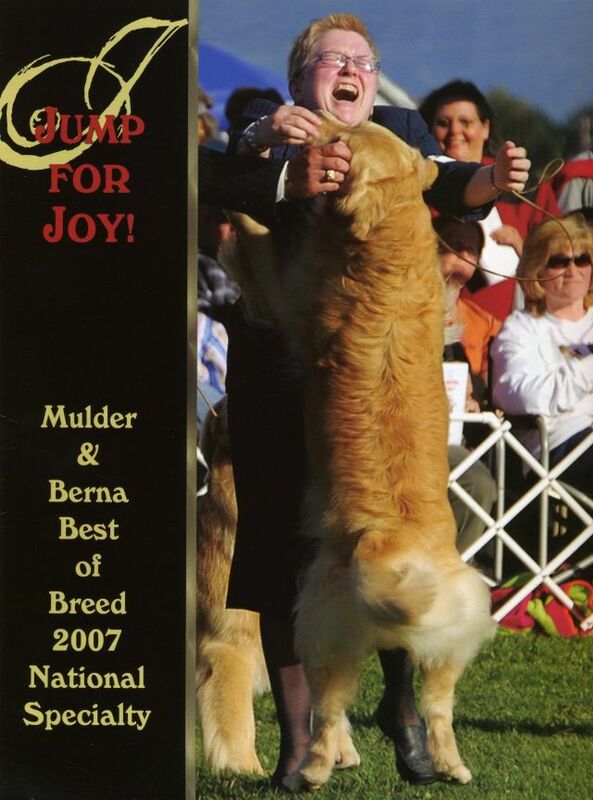 She is like the ultimate dog person and is involved in breeding, field trials, obedience, and running a very special golden retriever club. 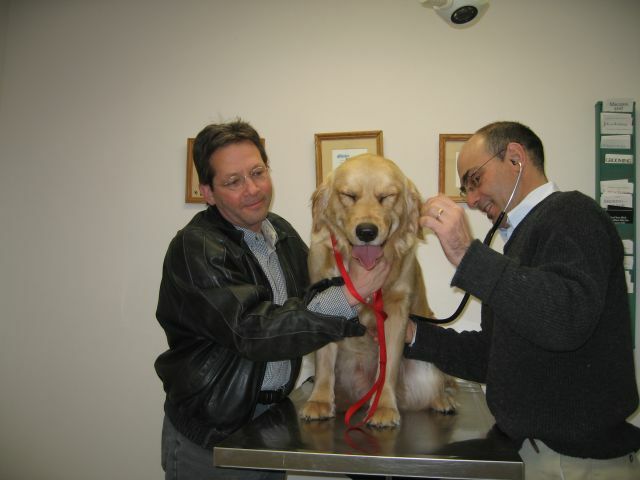 Today was a fun but hectic morning while we spent a few hours at the Suffield Veterinary Hospital. 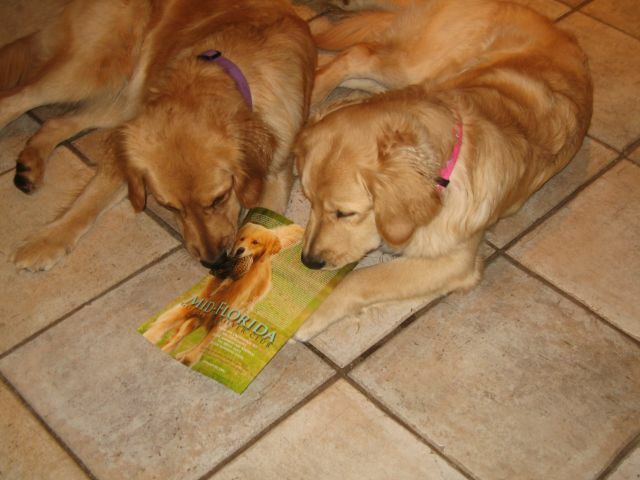 The Southern Berkshire Golden Retriever Club was having their Spring Conformation Testing Clinic. 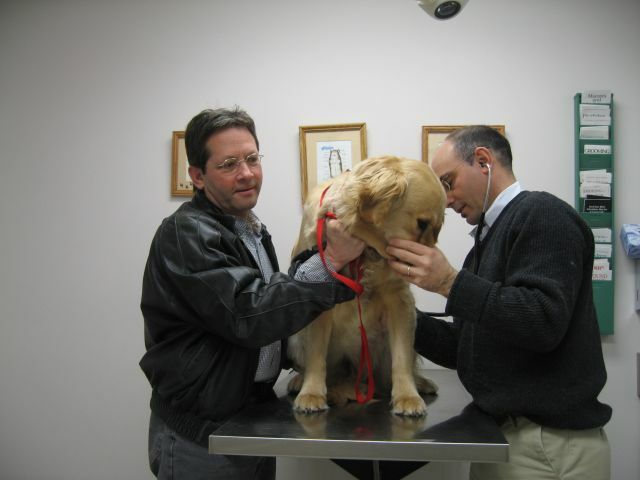 So breeders from all over the northeast brought their dogs, goldens all, for testing their eyes and hearts for any congenital problems. We brought all five dogs for the ride. Lucy the pup is not used to the car yet, and she howled most of the way in her crate. 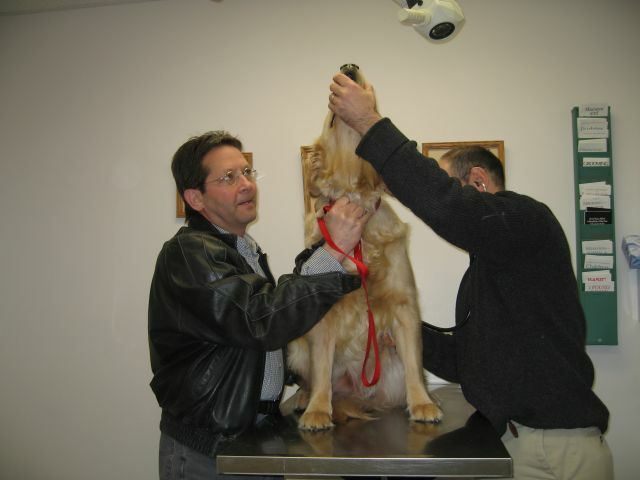 She got her microchip placed by Dr. Anne Huntington, the vet that was responsible for helping our Emma conceive her. 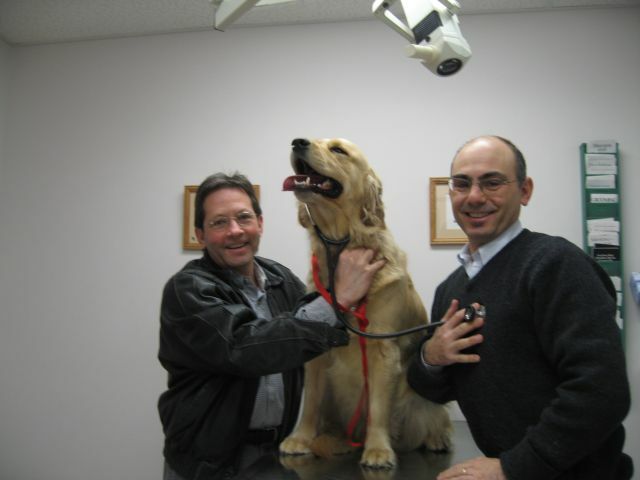 Solo and Riley had their hearts checked by the cardiology vet, Dr. Mark Stamoulis. 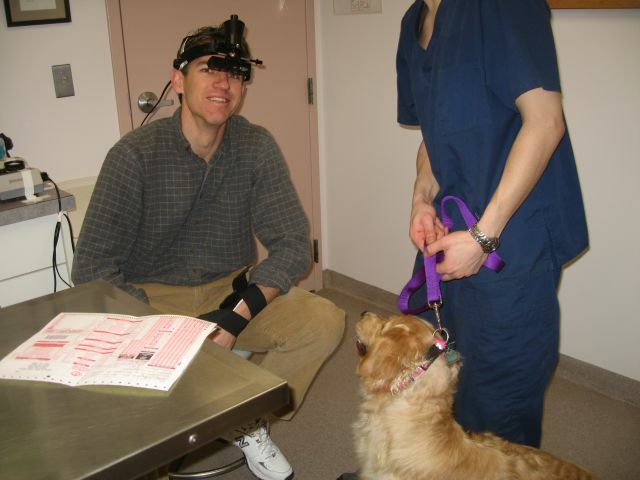 Then Solo, Riley, and Emma got their eye clearances by the ophthalmology vet, Dr. Charles Stuhr. The eye exam took place in a darkened room so that couldn’t be captured. Here are a few photos of Riley’s heart check. Everyone passed all their clearances so we all left very happy. 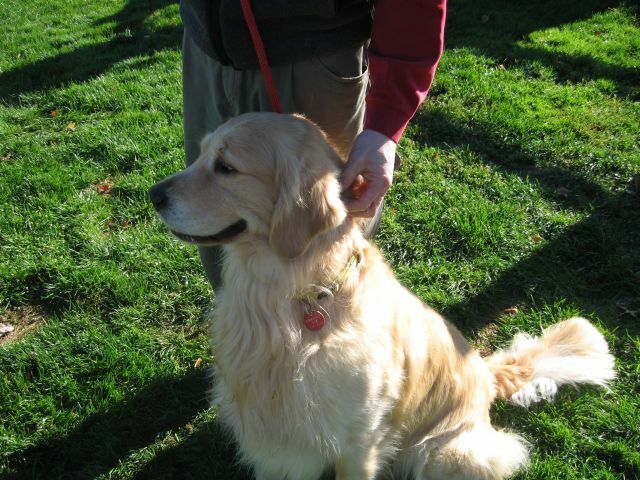 Barb also got to meet several golden breeders who are way more taken with this breed than I am. We were both enthralled if not disbelieving to listen to a couple from Torrington who have eleven goldens of both sexes. All these dogs live in their house. 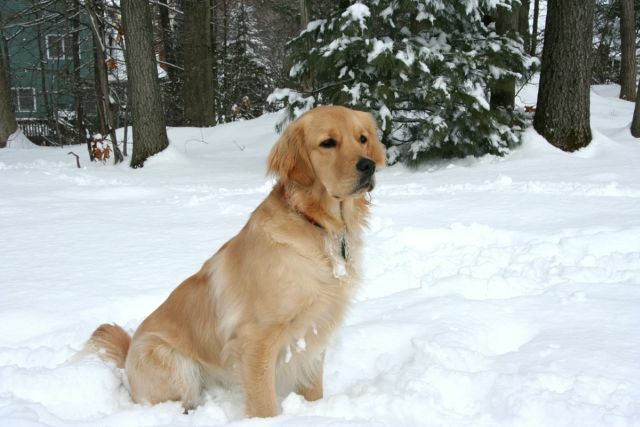 Like the Old Women in the Shoe story, there are many of us who can’t seem to have just one golden. 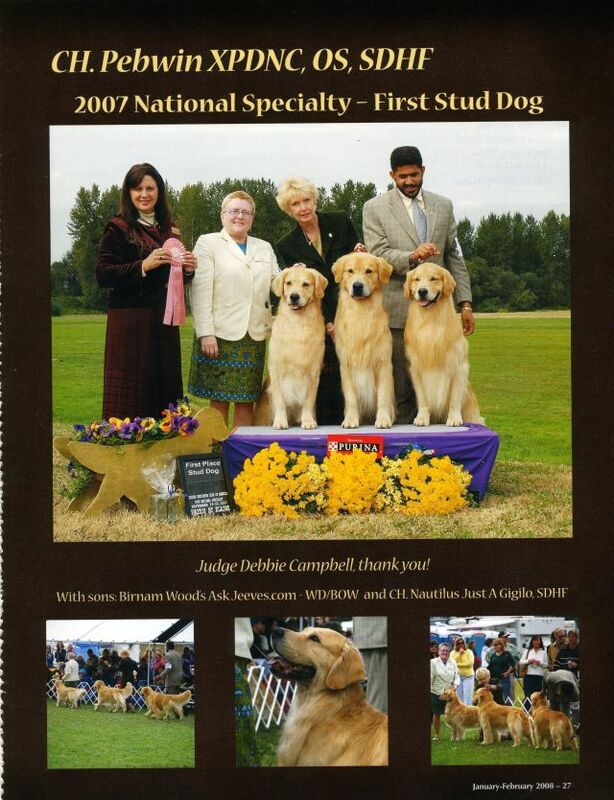 Today we admired goldens of all colors and sizes, show dogs to hunting and field dogs. All beautiful in their own way. 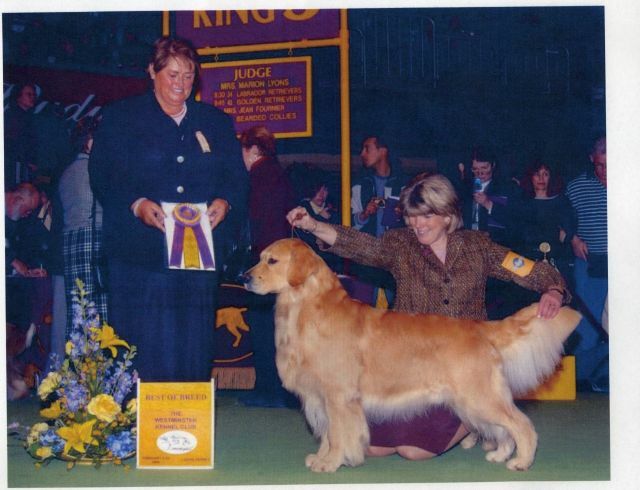 Of course their owners were just as varied in their ages, shapes, and sizes too. A most interesting morning. 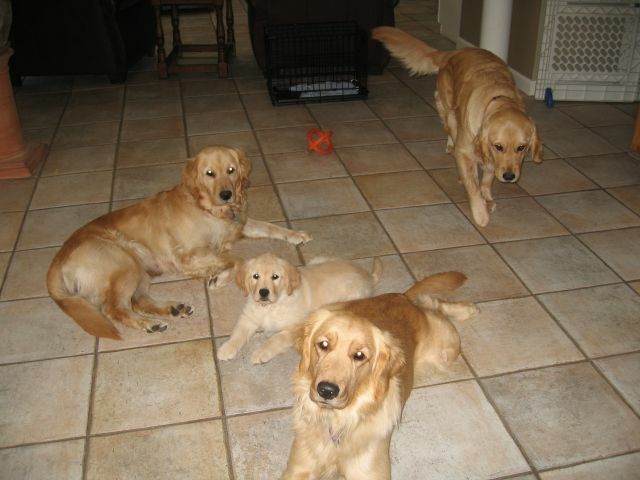 Emma, Riley, Solo, and Lucy had a quiet moment in the kitchen after getting home and calming down after being exposed to so many of their own kind in a setting they haven’t seen before. Next up will be the hip clearances for Riley and Solo. 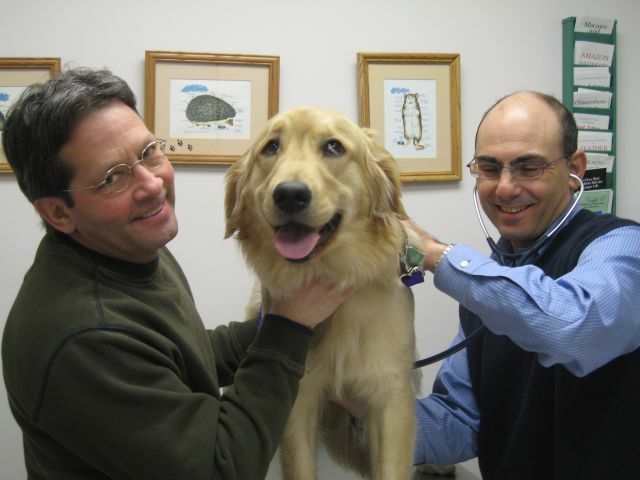 This will be done by a specialist vet in Rhode Island in April for Riley. 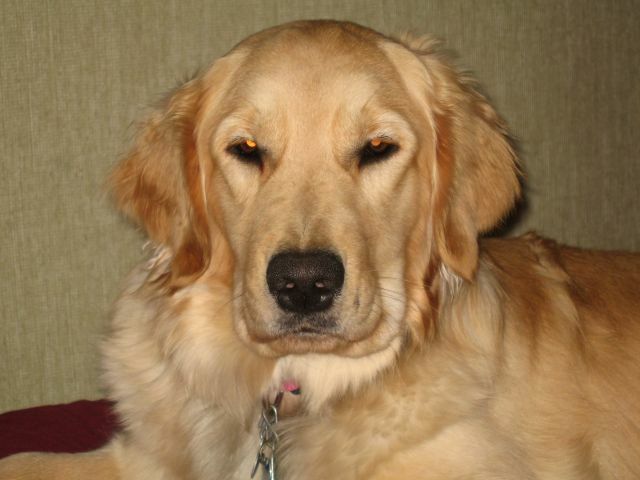 Solo has to have her two year birthday in June and then she will follow with her hip testing. 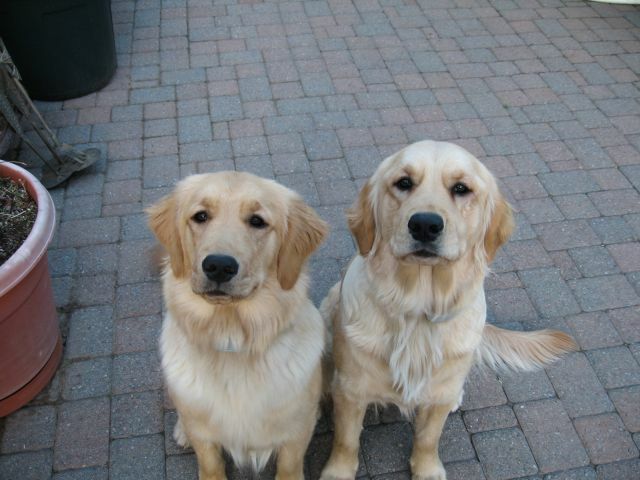 Riley and Solo will then be cleared for becoming moms later this year.